Great burgers and frosted mugs in Holmes Beach, Florida. Sandy shoes are welcome at Skinny’s Place. In fact, dining under an umbrella at a picnic table in the sand is a fine option at this old Florida establishment that first opened its doors as Freeman’s Mid-Island Drive Inn in 1952. 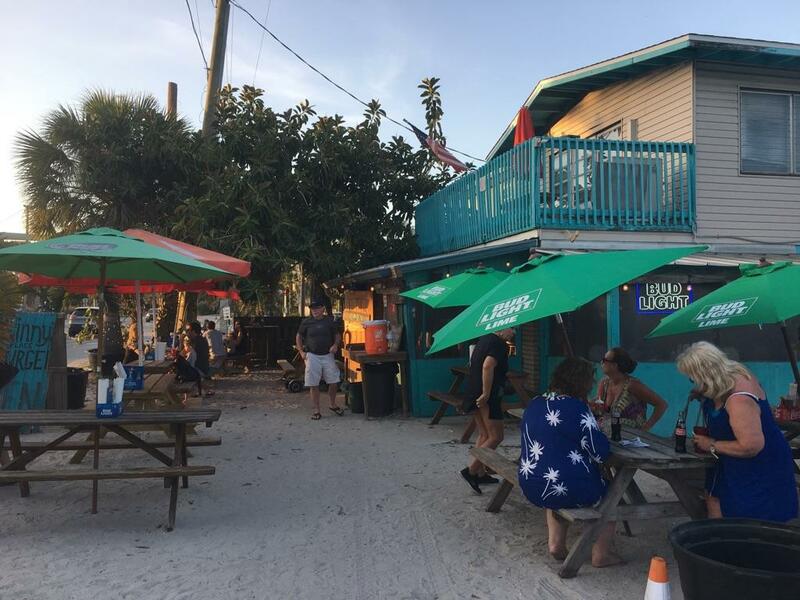 The restaurant was the dream of a couple of honeymooners who visited Anna Maria Island in 1936 and returned almost 20 years later with two kids in tow to make their island restaurateuring dream a reality. The screened porch establishment with an air of days gone by is a favorite watering hole for locals and a few curious tourists who happen to notice the scores of cars that crowd the gravel parking lot at meal times. 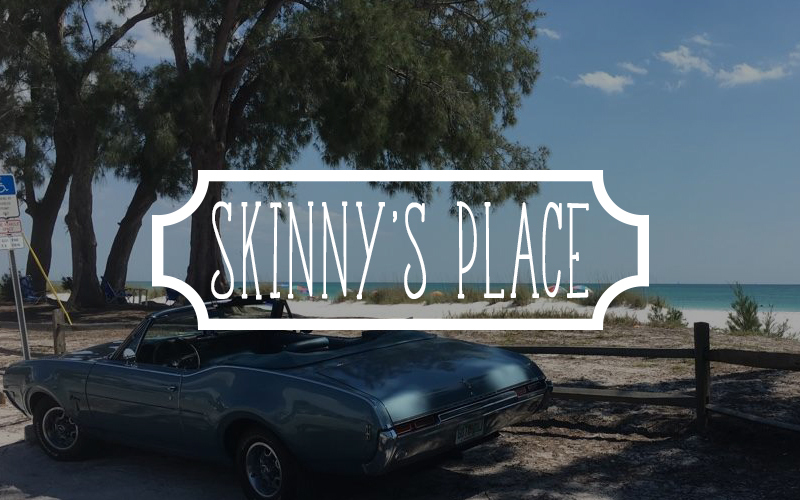 Located in Holmes Beach, Florida, Skinny’s kitchen daily serves up “the #1 Burger on Anna Maria Island.” That’s what the bright blue hand-painted sign in front of this little beach shack says and I don’t disagree. My Skinny Burger (okay, burgers—I actually ate there twice in one week) was no frills, but an honest-to-goodness grilled-to-juicy-perfection burger lover’s dream: a quarter pound of fresh ground beef sandwiched between two buns still toasty from the grill, crunchy ice-cold lettuce and what tasted like a fresh-off-the-vine tomato slice, plus a slice of onion and pickles served on the side. I ordered a basket of fries with my burgers and thought they were the perfect complement, but Skinny’s is locally famous for its savory onion rings. For more ambitious diners, the menu offers a Fatty Burger (classic double-stack with or without cheese) and, for the famished, a G-3 Burger (three patties with or without cheese) named for Grandpa Skinny’s 1940s midget race car. Although Skinny’s arguably does have the best burger on the island, there are other notable favorites on the menu: Grandma’s Homemade Chili, grilled hot dogs, chili dogs and chili cheese dogs, traditional grilled cheese sandwich and the “Say 3 Cheese” grilled sandwich featuring American, Provolone and Swiss cheeses. Chicken lovers will appreciate the grilled chicken breast sandwich, fried chicken pieces or spicy buffalo-style chicken pieces (no symmetrically manufactured protein here—just pieces of fresh chicken breast hand cut and dipped in homemade batter before being fried to crunchy perfection and served with your choice of three dipping sauces.) Vegetarians may enjoy a Boca burger with the usual Skinny’s burger trimmings as well as the grilled cheese sandwich options. A slew of beverage options is offered, beginning with the Igloo cooler out front. Stacks of cups are available outside (camp style) on a picnic table near the cooler where you can help yourself to chilled water. If you require something fancier than tap water, Skinny’s stocks Acqua Panna Spring Water, a variety of bottled Coca-Cola products including Minute Maid Lemonade and Apple Juice, fresh brewed tea, Barefoot Toes wines (six-ounce bottles) and more than a dozen canned and bottled beer choices including domestics, seasonal IPAs and popular imported brands. Beer on draught is served in frosted mugs and during Happy Hour (3-6 p.m. daily, except on Mondays when Skinny’s is closed), you can enjoy Budweiser and Bud Light on draught for just a dollar a frosted mug. That’s right: a dollar for a frosted mug! Pull up a bar stool inside this tiny beach shack, sit at one of the tables inside the screened porch where you can see kitchen staff preparing the food (and hear the bell ring each time a generous tipper pays) or sit outside at a picnic table under an umbrella where you can relax in the filtered light of palm trees and hear the occasional chatter of beachgoers on their way to the water and muffled music from passing cars. 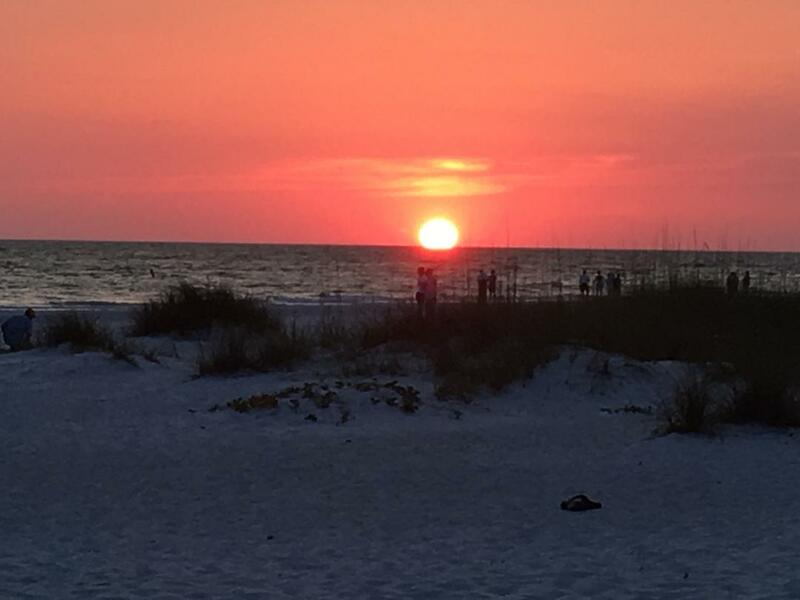 If you happen to be there in the evening, be sure to stroll across the street after dinner, a hundred feet or so, to Holmes Beach to see the sun slip just below the horizon. The cotton candy cascade of colors left in in its path is nothing short of breathtaking, so remember to bring your camera to snap a few pictures. You can also get your favorite fare to go. For a 47-cent upcharge, Skinny’s will prepare hot boxed food to go in an eco-friendly, recyclable container, when available, which is ideal for a picnic lunch (so the kids don’t have to stop digging in the sand), a poolside snack, or a mellow sunset meal that allows you to linger a little longer at the beach. This place is a bargain-hunters treasure: Prices on sandwiches (including burgers, dogs and chicken) range from $4 to $10, with an upcharge for the enormous G-3 burger. Sides, like fries, onion rings, chips and chili, are sold separately and are a shareable size, all less than five dollars each. Classic Coca-Cola products start at $1.50 for an eight-ounce bottle (ice cold varieties of 12-oz. bottles are available as well) and prices on libations vary, of course. Be sure to stash a few dollars in your pocket or beach bag. Skinny’s is a cash-only joint; however, if you forget, there is a strategically-placed ATM right there on property. 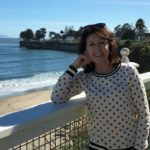 Cynthia Reagan is director of operations for MediaOne North America, a digital media company with unique expertise in travel, hospitality and tourism based in Atlanta, Ga., and one of the founders of FoodieTravelUSA.com.